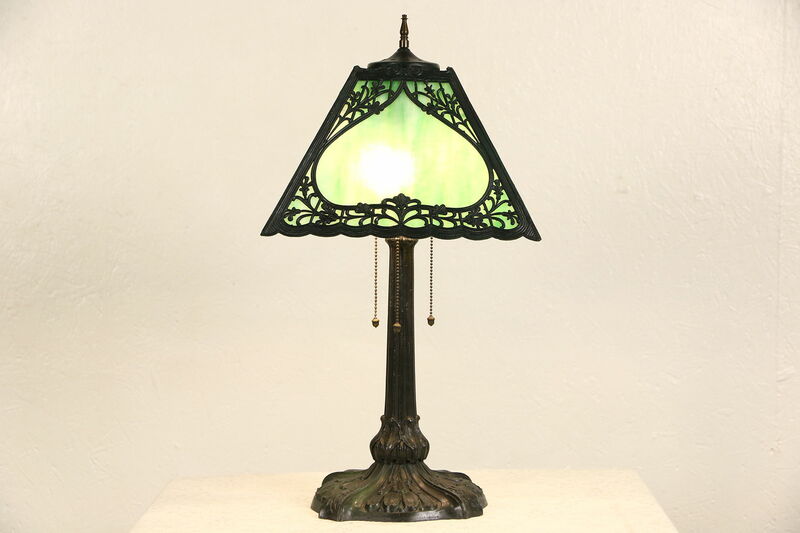 Signed "Mosaic Shade of Chicago," a 1915 era table lamp has an undamaged stained glass and filigree shade. The richly embossed base and shade frame have a rich dark patina on this American made antique light. Four brass standard base sockets with pull chain switches have been rewired. Measurements are 12" square and 23" tall overall. See 18 photos that enlarge to full screen size.